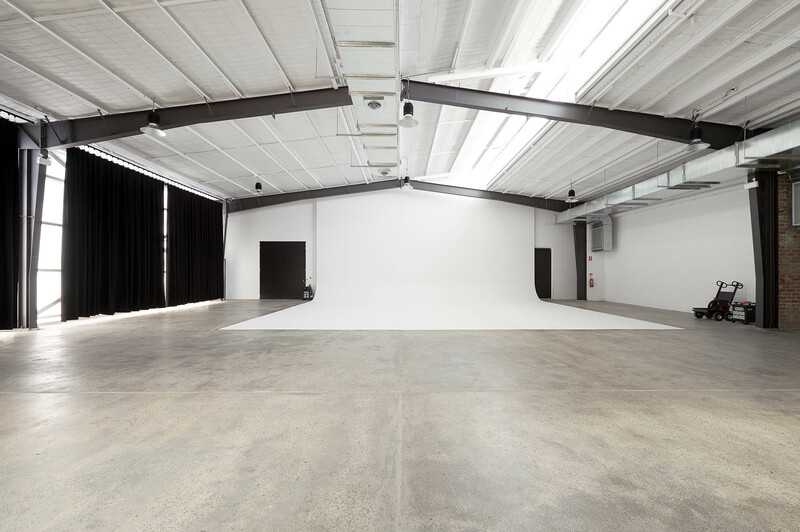 Home to film and photographic productions, the newly unveiled space at Baker Street Studios echoes Hollywood with a series of premium, contemporary and technically advanced studios. Engaged under a Design and Construct (D&C) model, our NSW construction team worked hand-in-hand with the client to develop the architectural, service and structural designs to achieve their ambitious vision. The result has seen a 2,000sqm filmmaker’s paradise come to life, featuring two photo studios, a sound studio, three kitchens, two bathroom blocks, and a general admin area. The studio has also received an outdoor breakout zone, a car park, and major upgrades to hydraulics (main and waste) and electrical. Working with an old asset presented a variety of challenges, particularly concerning the structural integrity of the building. To overcome this, Schiavello worked to stabilise the building with steel scaffolding, before removing parts of the roof and stripping back walls. This then allowed for the installation of a new steel structure, and a number of supporting walls to be constructed. An abundance of natural light now fills the space, streaming in from newly constructed skylights and floor to ceiling steel windows. This marries with the studio’s lighting design, straddling the technical, functional and decorative. White brick walls portray a pristine vastness, anchored by exposed concrete flooring. The black steel skeleton arches across the roofline, hugging the space, and a bold combination of colour and structure imbues a sophisticated rawness. Further, the recurrence of timber finishes, fabrics and metal detailing in robust modern styles throughout the space reinforces the quality and considerable design development invested in this project. The seamless, iconic curved studio walls were a welcome challenge for our NSW construction team. Built with a timber frame, plywood backing and plasterboard front, these now form the backdrop and centrepiece for future productions. 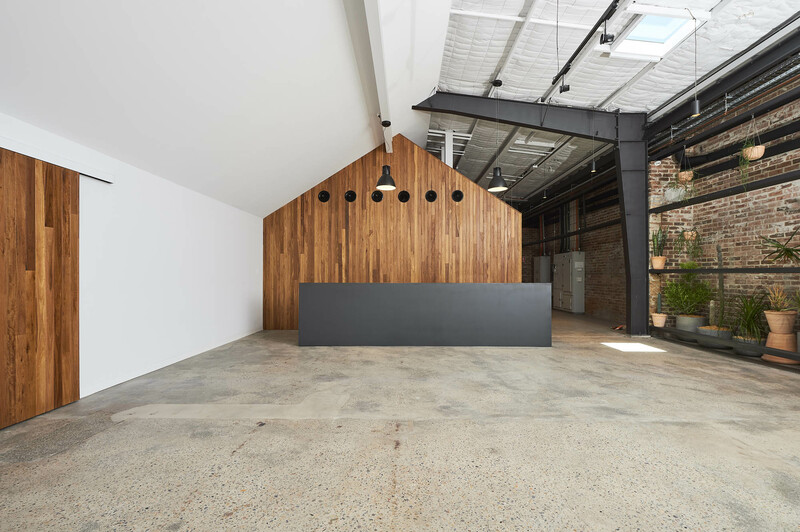 Acoustic treatment and studio soundproofing were of significant importance, particularly within the warehouse structure. A combination of 13mm plasterboard, high-density insulation and FC sheeting helped to achieve 56 RW; an industry leading outcome. 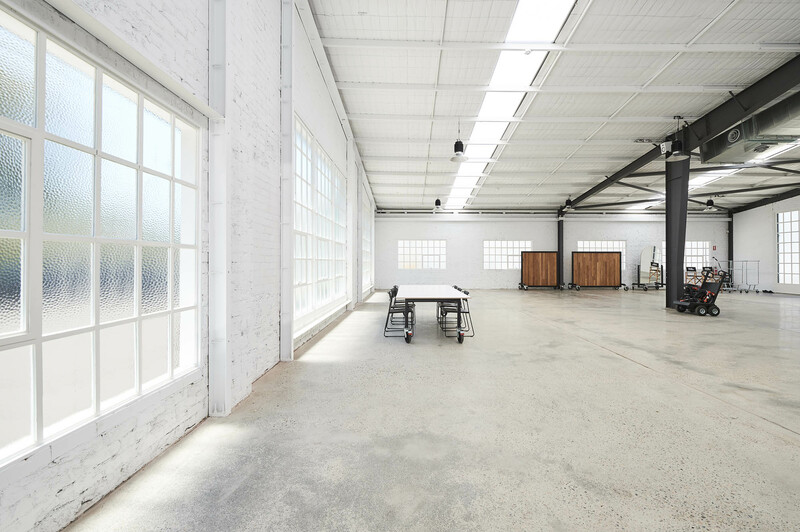 The result has seen a 2,000sqm warehouse space brought to life in a marriage of design, technical understanding and expert craftsmanship. The overarching Main Assembly Building (MAB) structure provides the perfect ‘umbrella’ for multiple businesses to operate from one central precinct. 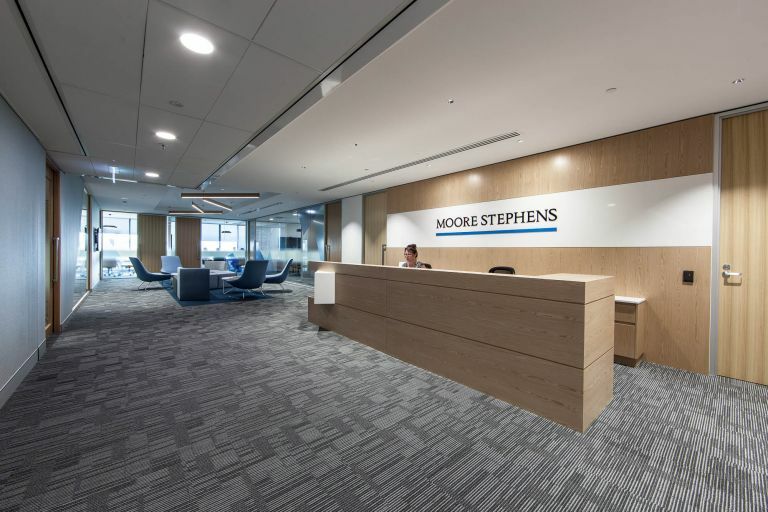 Moore Stephen's office featured client facing meeting spaces, timber framed glazed feature panels, acoustic and feature ceilings as well as bespoke joinery.